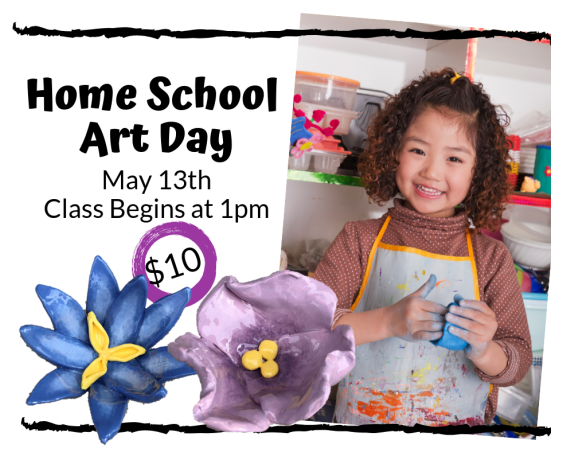 Join us for our last Home School Art Day class of the school year! This month we will be getting messy and playing with clay. 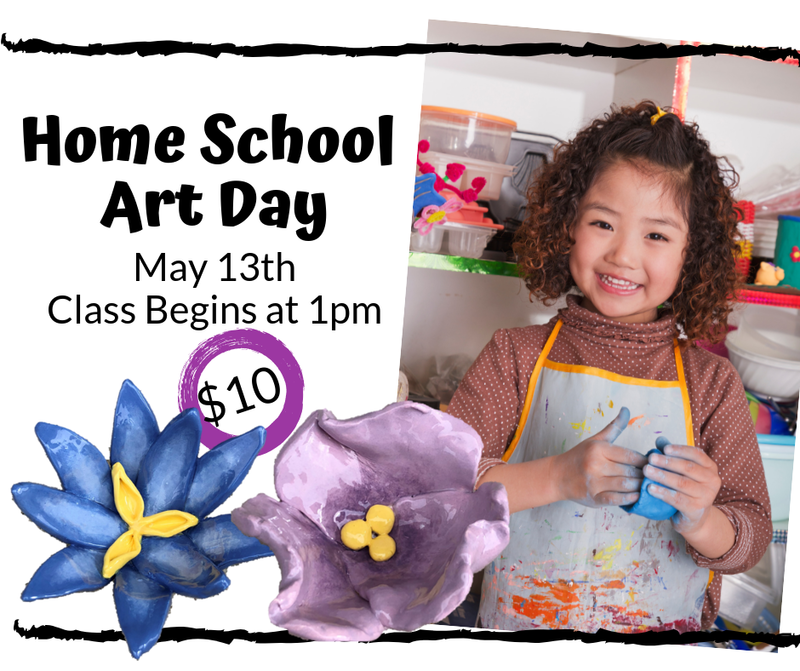 Each artist will create a flower bowl made from clay. This class will begin promptly at 1pm. No reservation necessary.